In other words, if a bunch of leftists know that you own a gun and don’t like it, they can claim that you are a danger, at which point a judge could deny you your due process rights and take some sort of action that would infringe on your God-given right to bear arms, up to and including complete confiscation. 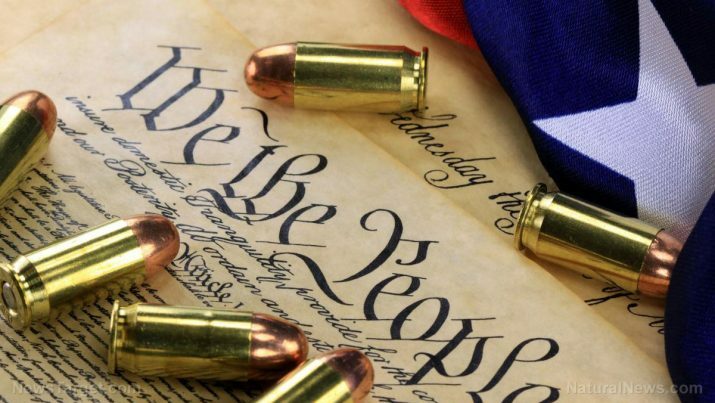 Many conservatives and constitutionalists were worried this past February when President Trump, in a strange departure from his typical stance on firearms and the Second Amendment, declared his support for the idea of taking guns first and going through due process second. This surprised millions of Americans, and was an odd yet alarming statement from someone who is otherwise a firm believer in the right of the people to keep and bear arms. Time and time again, the liberals tell us that they are not out to take away anyone’s firearms. Yet whether it’s through secretive “star chamber” courtroom proceedings or simply calls to ban semi-automatic rifles like the AR-15, their intentions are abundantly clear – they want fewer firearms in the hands of the American people, including citizens who have followed the law and have never committed any crimes. Just a few weeks ago, it was reported that an Illinois town just outside of Chicago successfully passed a ban on assault rifles (like the AR-15 and similar firearms) and “large-capacity magazines.” Residents of the liberal-leaning town of Deerfield now have until June 13 to remove any firearms that they are no longer permitted to have by law or face a fine of anywhere between $250 and $1000 per day. Clearly, the Second Amendment and the private property rights of the people of Deerfield were all but thrown out the window. The Constitution is under attack all across the country on multiple different levels. It is time for the people to make a stand, or risk losing their freedoms forever.